If you're hesitant to cook pork chops in the Instant Pot or Slow Cooker because they tend to come out dry and flavorless, this will change your mind. 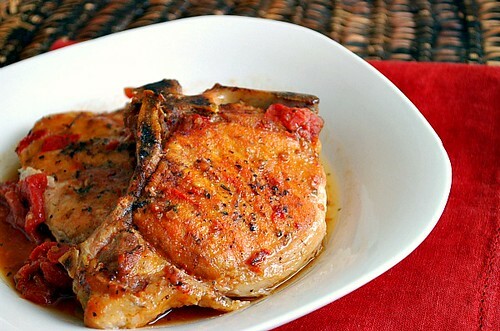 For this recipe, the pork chops are nicely browned to develop some flavor right off the bat. Then they simmer in a tomato sauce seasoned with Herbs de Provence, keeping them moist and juicy. You can find Herbs de Provence at most supermarkets in the spice aisle. But if it's not available, you can make your own blend with this recipe. I've also included directions for making this dish ahead and adapted for your slow cooker. If you prefer to try this on the stovetop, get the stovetop recipe version here! Add oil into IP and press SAUTE. Season the pork chops with salt and pepper. Add the pork chops to the IP; cook until they are brown and an instant-read meat thermometer inserted horizontally into the pork registers 160 degrees F, about 3 minutes per side. Transfer the pork chops to a plate and tent with foil to keep them warm. Add the onion to the now empty IP and saute until softened, about 4 minutes. Add the tomatoes with their juices, herbes de Provence, and 1/4 teaspoon red pepper flakes. Return the pork chops to the IP with any accumulated juices from the plate. When the display reflects 10 (which is 10 minutes since the IP has beeped), turn the setting on top of your IP to VENTING. Doing so allows the IP to quickly release pressure (also known as QPR or QR). I use a wooden spoon to carefully turn the setting to avoid close contact with the potential steam. You may also want to turn your IP away from cabinets to allow the released steam to escape freely. The pin at the top of your IP will drop when all pressure has been released and it's safe to open. Place 1 pork chop on each plate. Spoon the sauce over the pork chops. Sprinkle with the parsley for garnish. Heat the oil in a heavy large skillet over medium heat. Sprinkle the pork chops with salt and pepper. Add the pork chops to the skillet and cook until they are brown and an instant-read meat thermometer inserted horizontally into the pork registers 160 degrees F, about 3 minutes per side. 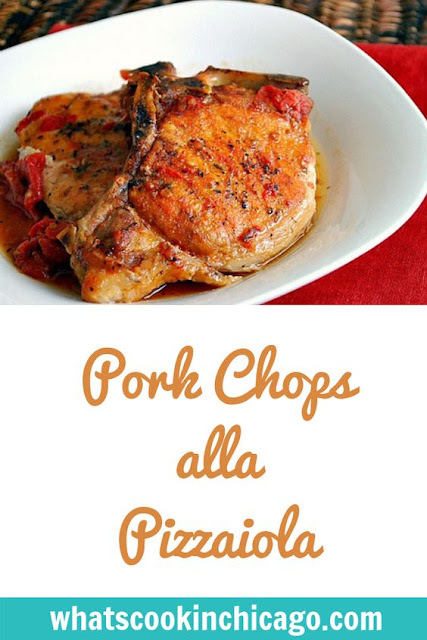 Transfer the pork chops to a slow cooker / crockpot. To serve. place 1 pork chop on each plate. Spoon the sauce over the pork chops. Sprinkle with the parsley for garnish.